One of the best kept secrets in the United States is about to unfold at a summit in Washington, D.C. on February 5-6. Policymakers, Education Leaders, State Teachers of the Year, and other Teacher Leaders from around the country will gather at the National Summit on the Teaching Profession to discuss Teacher Leadership. Now, at first glance, that may not appear news worthy. After all, Washington is well known for its ability to convene meetings. Many of those in recent months have been on Teacher Leadership. However, this one is different, and here is why. The 2015 International Summit on the Teaching Profession [ISTP2015] held in Alberta, Canada was truly a global showcase as to how Teacher Leadership is changing the paradigm. Teacher Leadership was woven into almost every discussion at ISTP2015. International leaders discussed the need to create cultures that promote Teacher Leadership in order to provide unique learning opportunities that empower students to become the next generation of innovative thinkers. During the sessions, nation after nation lined up to share how they were creating opportunities for teachers to lead and the positive impact those decisions yielded in terms of student achievement. At the end of the summit the message was clear. Countries around the world were in a race to find new ways to empower their teachers to join the reform effort in order to create a new educational delivery system. The idea for the National Summit was born out of ISTP2015. President of AFT Randi Weingarten, President of NEA Lilly Eskelsen Garcia, President of CCSSO Chris Minnich, and former U.S. Secretary of Education Arne Duncan gathered in a room the last afternoon of the summit to discuss plans for moving forward. Also, present were members of their command staffs and a small contingency of teachers. Thanks to the National Network of State Teachers of the Year [NNSTOY], I was one of a handful of teachers who had been invited by Secretary Duncan to attend the event as an official delegate. It was obvious after listening for two days of testimony from global leaders that Teacher Leadership needed to become part of the national dialogue in the United States. The burning question in everyone’s mind was where to begin. The ideology of Teacher Leadership is relatively new and faces many challenges. Most people in education circles have not heard of the subject. Many who have been exposed to the concept are still grappling with how to define the idea and are looking for real world examples. The creation of the Teacher Leader Model Standards in 2008, was groundbreaking. However, everyone in the room that day realized that America is only on the front end of the Teacher Leader Movement, and there is much work that still needs to be completed. With that said, there was no denying the impact that Teacher Leadership has had on student performance and was shared by global leaders during ISTP2015 and the teachers who now sat in the room with the four principal leaders. An idea was shared during the meeting that America needed to host a National Summit on the Teaching Profession and the topic for the first event should be Teacher Leadership. I was extremely proud of the leadership of AFT, CCSSO, ED, and the NEA at that moment in time. They are organizations that, due to the nature of the constituents they represent, find themselves on the opposite side of the aisle more often than not. However, as a Teacher Leader, I was moved by both the willingness of all four organizations to move forward with the event and their commitment level to students and teachers. The defining moment of the meeting was when Secretary Duncan turned to the teachers in the room and said, “We are going to host the first National Summit on the Teaching Profession in the history of the United States and you are going to help plan it.” The leaders from all four organizations were in agreement. The walls of the traditional from the top down bureaucracy where teachers have little opportunity to provide input began to crumble when Secretary Duncan uttered the last word in that statement. Randi Weingarten, Lilly Eskelsen Garcia, Chris Minnich, and Arne Duncan’s decision was leadership by example in the highest form. In doing so, they set the standard for other policy makers, education leaders, and administrators to follow. At that moment, the the roles of the teachers in the room changed from passive observers to professional educators who were critical to the reform effort. What would happen if teachers were given similar opportunities to provide input in schools all across the nation? Think of the benefits our students would receive if the rigid system teachers and administrators work in instantly became more flexible and allowed for a vested partnership between both groups. The result would be new innovative forms of instruction, assessment, and professional development. Our students would be the initial winners. However, over the long term, our nation would reap the rewards of empowering generations of children with the skills they need to be career and college ready with the ability to compete on the global stage. Follow the National Summit on Twitter by using #USSTP2016. Joe Fatheree is a Top 50 Finalist for the Global Teacher Prize, a recipient of the NEA’s National Award for Teaching Excellence, and the 2007 Illinois Teacher of the Year. 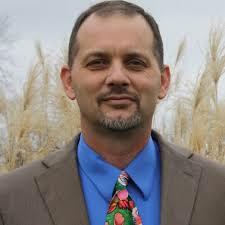 He is the Instructor of Creativity and Innovation at Effingham High School, and serves as the Director for Strategic Projects for the National Network of State Teachers of the Year [NNSTOY].